That’s some unique NIMBYism. The Cape Wind project, a proposed renewable energy facility off of Massachusetts’ Nantucket Sound, hit an unusual snag when the Mashpee and Wampanoag Native Americans opposed the site because it blocked their view of the sunrise, an important part of a daily ritual. The facility, which was also opposed by the late Sen. Ted Kennedy (D-Mass) and the Alliance to Protect Nantucket Sound, presents an important dilemma for Interior Secretary Ken Salazar. I summed up the dilemma for change.org. Setting aside the merits and drawbacks of Cape Wind, killing the project would be a major victory for NIMBY politics over clean renewable energy sources like wind and solar. Sure, it’s easy to support renewable energy in the abstract. But when your sunrise or porch’s mountainous view is obstructed by a hulking white wind mill? Forget about it, some say. 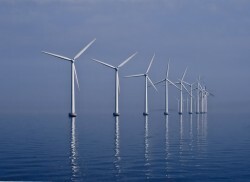 But spiking Cape Wind would not eliminate the NIMBY headache that has plagued the project since its inception. It would only add fire to anti-wind movements at other proposed locations. Secretary Salazar has asked for a final round of public comments to help parse that complexity. But depending on what he decides in April, Cape Wind will either be a historic victory for wind power, or put wind in the sails of NIMBY-ists everywhere.